Possibly the greatest table design I’ve ever clapped eyes on, this brilliant dining set may just hold the key to perfecting table manners. The aptly named courtesy table also forces the family together for meals and may even put an end to sibling rivalry! 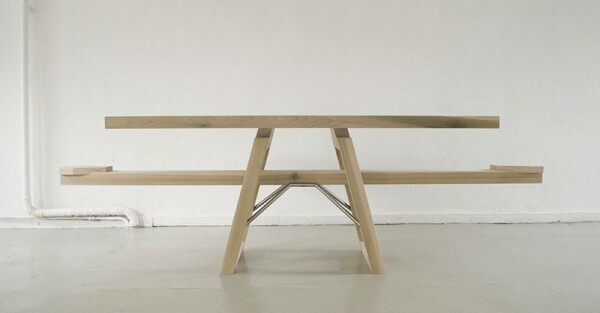 Dutch designer Marleen Jansen is the talent behind her concept piece, the Courtesytable. 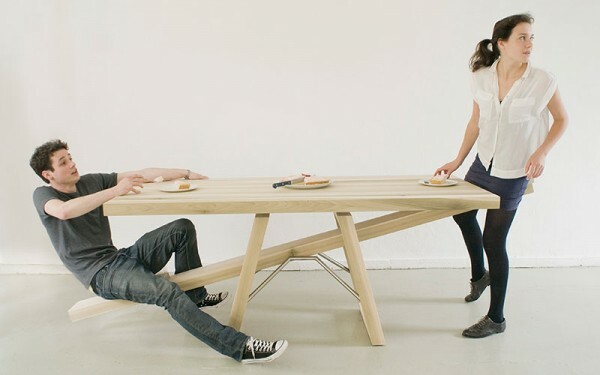 Preventing people walking away from the table while people are still eating, the dining table cleverly incorporates elements of the playground favourite – and no doubt challenging – a see-saw seat. If one person leaves the table before the other has finished, their fellow diner ends up on the floor, which we’re pretty sure would grow tiresome very quickly (but perhaps not before a few giggles), forcing everyone to stay put until everyone is done. Genius. While Marleen Jansen‘s piece is purely concept, we’d love to see something similar available to purchase in the future!